I went to Ash Wednesday Mass at St. Michael's which as we have discussed before is the confessional capital of Buffalo. Whenever you walk in they are holding confessions! With which, I took advantage. It had been, ahem, a while since my last confession. I got to the church about 10 minutes early and as I may have mentioned about St. Michael's, the atmosphere in there is kind of unusual. People get to Mass early and they stay late and if you walk in when no mass is going on, there will still be people in there, praying or meditating or whatever. It is always quiet, unlike a lot of other churches. Another thing I do not think I have mentioned, they have a cool bell thing going on at St. Michael's. There is this kind of shimmer of bells that tells you when Mass is going to start, in about five minutes or so. 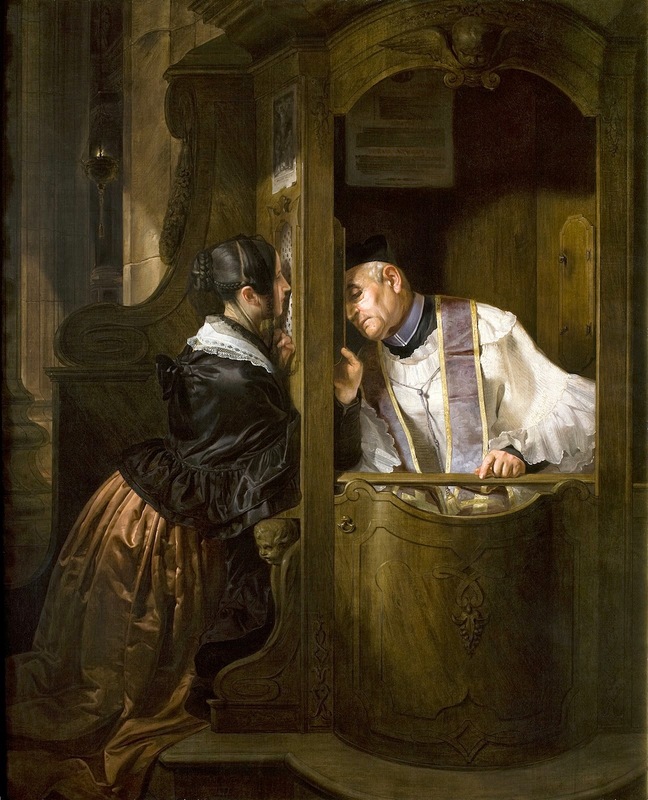 I heard that shimmer of bells and that was when it struck me that I should go to confession. And I went into the booth and knelt down. A kind gentleman in a nearby pew was nice enough to take a picture of me, visible up above at the top of this post. But it was not as easy as it looks. The trouble was, I had not thought about it a great deal. This is how big a loser I can be, I did not have my confession planned out. I hastily got about three sins in my head and then in I went. And I lost track of my sins in the middle of my confession! I mentioned one or two things and then I blanked. What else had I done wrong? There had to be something. Probably I should have said, "I'm sorry, Father, I forgot what else I was going to say." The priest was extremely nice and would have been fine with that. But instead I just kept talking. Tap dancing, in radio lingo. I have heard that when you are doing a radio show and no one is calling in, you have to tap dance, i.e., talk about nothing, just so the airwaves do not go dead. Tap, tap, tap. "So anyway I was thinking I needed to work on that, and I have to prioritize my life better, and ..."
Telephone call for Mr. Astaire! Paging Mr. Astaire! Honest, I was like Fred Astaire. 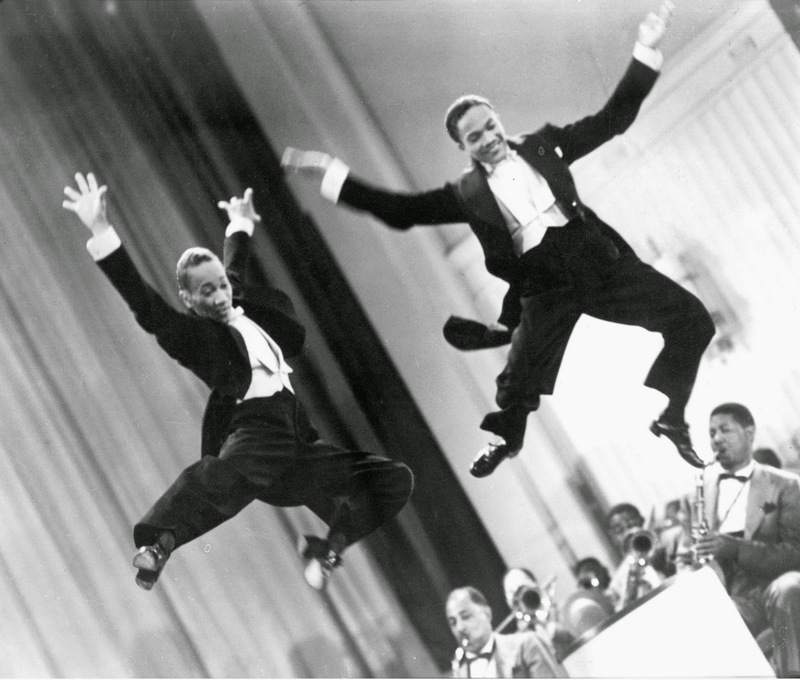 Or the Nicholas Brothers. It was not as bad as the time I forgot my Act of Contrition but it was stressful all the same. I just kept tapping and tapping. Finally I thought of something else I could say and I talked about that. Whew! What it was, I can't remember. Nor does it matter, now, because it has been forgiven. These are the wages of getting up at 5:30 a.m. to deal with matters Pennario-related. Tonight it is supposed to go down to -9 degrees. It is going to break a record set in 1914. I took that picture up above in the park the other day. It has been cold for a little while now. But still. I cannot believe that no one mentioned this all day, but surely I am not the only one thinking of Sonny Boy Williamson's "Nine Below Zero." 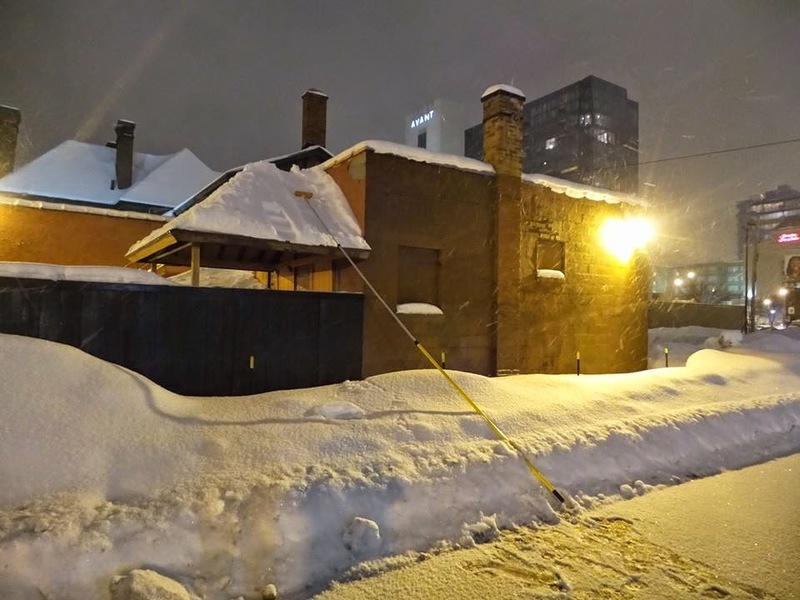 The record of nine below zero was set in Buffalo before Leonard Pennario was born but not before Sonny Boy Williamson was born. He was born Dec. 5, 1899. "It done got nine below zero, the woman put me out, for another man." God love you, Sonny Boy. We are descending into the deep freeze and I am regretting taking down my Christmas tree. Today I went walking with my sister and many of the better houses still have their decorations up. There were dozens of wreaths! Eventually I stopped counting. 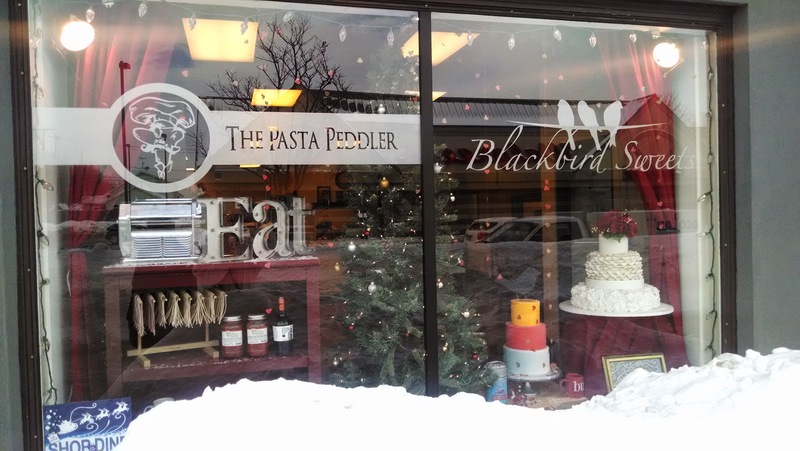 And the Pasta Peddler, a chic shop on Hertel still had its tree up, which I loved, and which I picture above. Yay, Pasta Peddler! Or Blackbird Sweets, or whatever you are. I know, in the traditional Roman Catholic calendar that I go by, it is already the season of Lent, which is what finally pushed me to take down my tree. But it is not Ash Wednesday yet. Surely a wreath or tree here or there is not entirely offensive. Son of a sea cook, I acted in haste! Admiring the wealthy people's wreaths, and that they still had them up, I chalked it up to good taste. My sister who is more jaded than I am said: "Maybe they are all too busy making money to take them down." No one is busier than the biographer of Leonard Pennario, particularly at this point in my project. Whatever the reason those wreaths are up, though, I am thinking, I am of a mind to put one up too. This year I never got around to it. Now could be the time. It ain't over till it's over as we like to say here in Buffalo. Perhaps I will try to purchase a wreath. By now, they're certainly marked down! Remember not long ago when we predicted that Jeoffry would, one day soon, zero in a mouse? The other night we arrived home from, ahem, the theater. And there was a dead mouse sitting on Jeoffry's red Savers bag. That bag is his turf so that mouse was there for a reason. "There's a mouse here," he said. "A real mouse." Then we called for Jeoffry but for the longest time he did not appear. That was weird and we were worried. Then he sauntered in from the front sun room. He had been watching the rabbits outside. He was really high on himself because of that mouse, you could tell. There was a new dignity about him, as you may see in the picture Howard took, visible up above. Not to get too gross, but the mouse was intact and not gory. 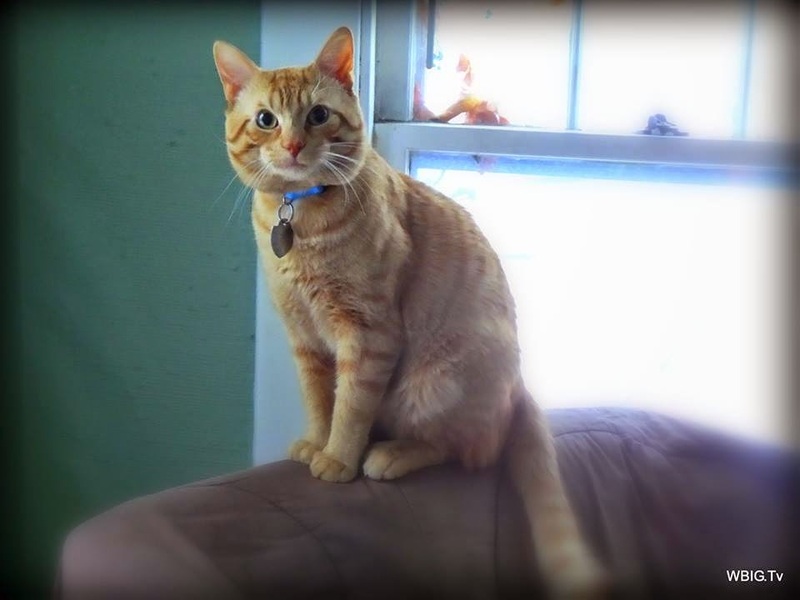 God knows what it went through, because as the poem "My Cat Jeoffry" says about the cat, "For he plays with his prey to give it a Chance." But the end was pretty anyway. It missed the deadline unfortunately for my ground-breaking, sure-to-win-a-Pulitzer mouse story in The Buffalo News. But still, significant. This is a milestone for Jeoffry. It was like Leonard Pennario's first appearance with the Los Angeles Philharmonic. For Pennario there were many more concerts and for Jeoffry there will surely be many more mice. He is earning his stripes! 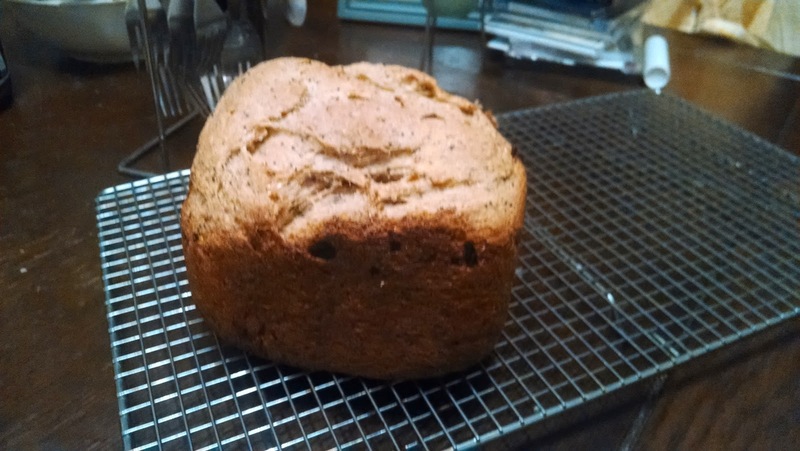 I should not write about baking two days in a row. People will think all I do is bake and I do not care about music or Pennario! Which is totally wrong. However I like to write about the stuff I make for church coffee hour because I like to remember what recipes I have found that are great. Yesterday I made Cocoa Fudge Cookies. There is a story behind this. 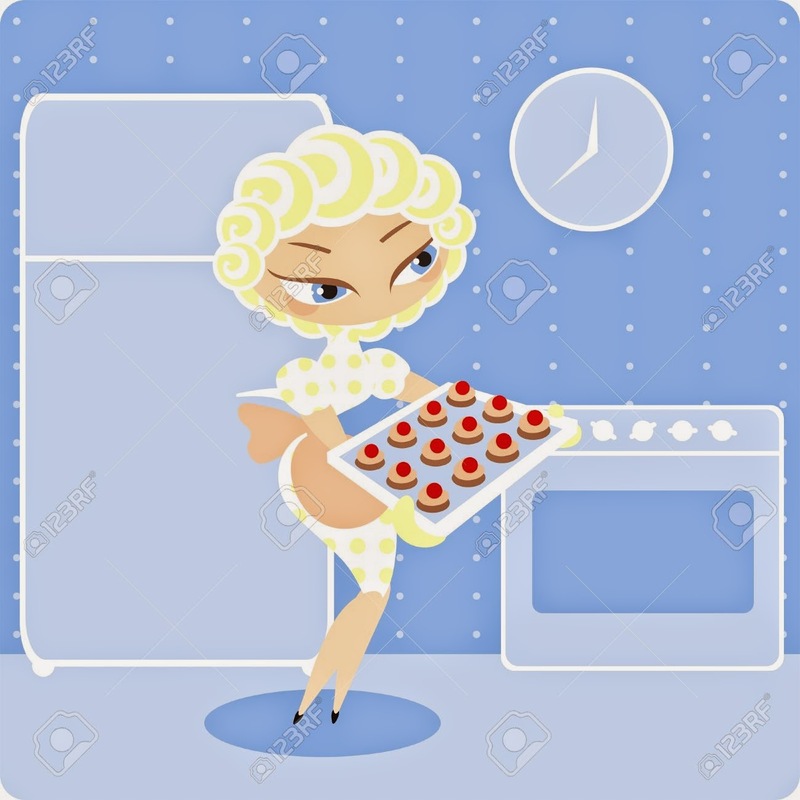 I got to bed really late because I worked the Philharmonic, and then I got up early because I wanted to bake something. I was operating on only four or five hours' sleep but baking for the coffee hour is something I look forward to and I am not going to miss out just because I got to bed late. I put the kettle on for coffee and then looked at the cookbook I had set out on the counter the night before, which was Cooking Light Annual Recipes 2003. Uncharacteristically for me, I had a plan. I was going to make Chocolate Bundt Cake because in the fine print it said you could bake it in a 9-inch cake pan, and I had everything I needed, including I had set out butter to soften the night before. As the kettle heated I mixed up the dry ingredients, la la la la la. There was no softened butter! My mind, racing, caught up with what had happened. Howard had kindly gone downstairs late the night before to refresh Jeoffry's water and food bowls. He must have put the butter into the fridge, figuring I had left it out. Time was running out. I had to go pick up Dorothy and if I was going to get to church on time with the time I had lost, that meant I had to bake cookies, not a cake. And there, to the right of the Chocolate Bundt Cake, was a recipe for Cocoa Fudge Cookies. I read through it, fast. It seemed I had everything. I set to work. I doubled the recipe because as usual with Cooking Light, the original recipe makes about 3 cookies. And mistakes were made, because I had not yet had my coffee and the cat and I were tripping over each other. When I was doubling the sugars I got the white sugar and the brown sugar backwards. Then I could not cool the cookies properly as they suggested. 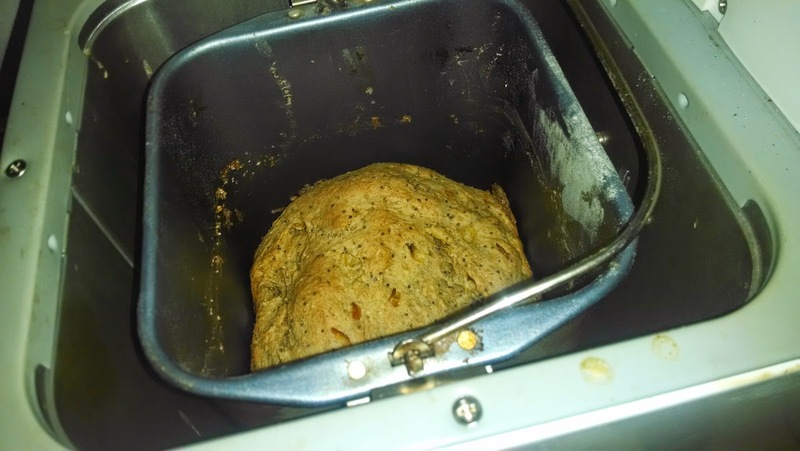 They went right from the oven into my car. I jumbled them all onto a single cookie sheet and out the door we all went. End result, as we say here in Buffalo, I can thank Howard for putting the butter in the fridge. Because these are the yummiest cookies! It turns out I stumbled on a classic recipe. Just now when I looked online I see everyone praised it. The cookies are fudgy and chewy on the inside and crisp on the outside. At the end of the coffee hour there were no survivors. All of them were grabbed up fast. So here you go. Cocoa Fudge Cookies. Bake at your own risk! 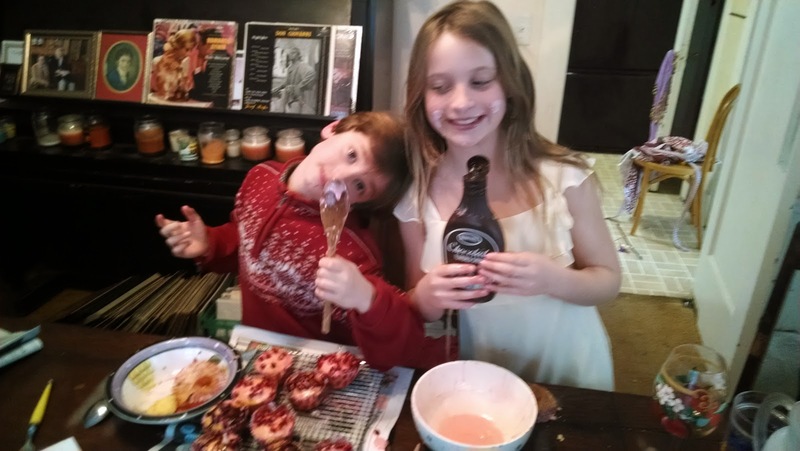 Today after church my niece and nephew joined me again to bake more cupcakes. We did almond cupcakes with lemon frosting. In Barbara's cupcake book, which I gave her for Christmas and she toted over here, we made Amaretto Wedding Cupcakes. We did not make them for a wedding. We made them for ourselves, seeing that St. Valentine's Day is coming up and wedding themes are certainly appropriate. Prudently earlier this week I had picked up Valentine's Day cupcake liners at CVS. One had red hearts and the other had a red swirl design. This cupcake book, I don't remember exactly where I found it but it is uncanny because you have most of the ingredients you need. And if you do not have them you can sub something. I did not have Amaretto, and a valid question is why do I not? But I do not. However I did have Llord's Almond Liqueur. Our friend Ari used to bring over bottles of Llord's, which I have faithfully kept. This is one of them. Three tablespoons of Llord's, a bottle of which is pictured at right, went into these cupcakes. 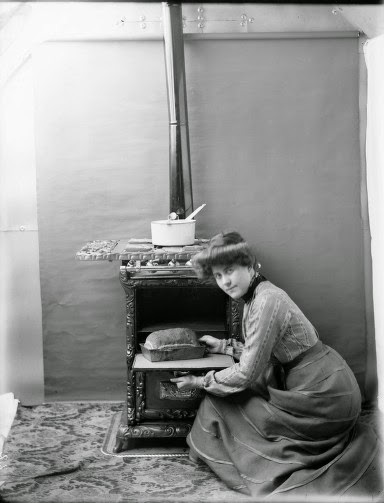 "That smells good," Barbara said. It did indeed! And so did the Almond Extract from Albrecht Discount that also went into the cupcakes. And so did the cupcakes when they came out of the oven. 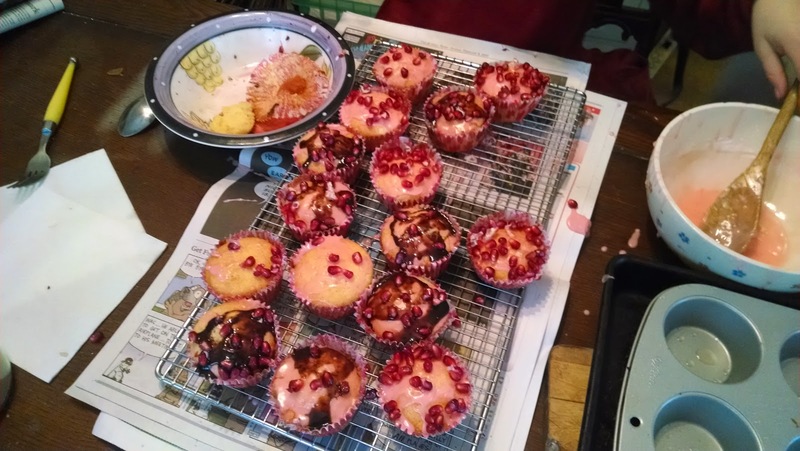 We frosted them with lemon frosting which we tinted pink, and then Barbara and Georgie artistically decorated them with chocolate sauce and pomegranate seeds. Georgie asked if he could have one of the half lemons when we were done squeezing it. I said he could. "Yes!" he shouted. Then he ran around the house with it doing God knows what. I look at these cupcakes we make and sometimes I cannot believe it. They look homemade, sure, but sometimes in a group they look like something you would pay big bucks for in a bakery. Also it is good for things to look homemade, you know? It adds to their cachet. I like that about Martha Stewart. Some things, her wedding cakes for example, look polished and impossible to do. But other things, like pies for instance, she likes that homemade look. It is snobby to have something homemade. Most people do not get to enjoy that. While we worked we listened to Johann Strauss which, here is Pennario playing his own arrangement of the Kaiser Walzer. It is funny but when we do this, go to Mass and go to church coffee hour and follow that up at my house with a big lunch and a cupcake session, it makes me think of how Sundays must have been to people some years ago. I like to think of Sundays as a day apart. I would like my niece and nephew to grow up thinking of it that way. Not like other days you spend running around shopping and doing errands. On Sunday you may bake cupcakes and listen to Johann Strauss. 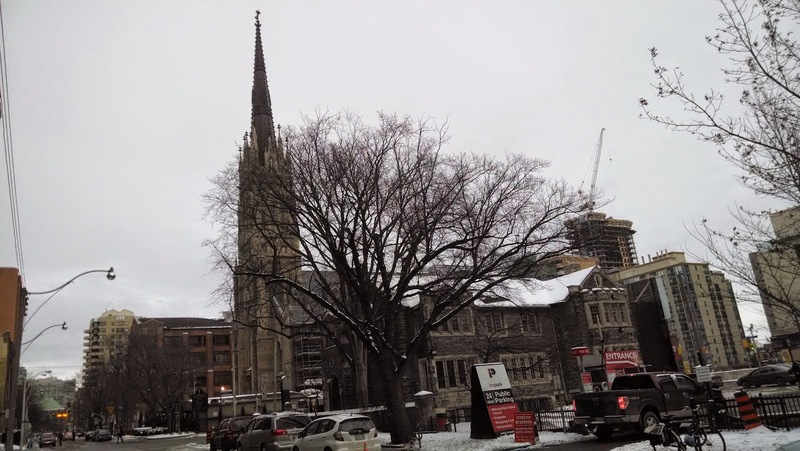 I went to Toronto over the weekend to see "Die Walkure" and "Don Giovanni." And while I was there I went to mass at St. Michael's Cathedral. 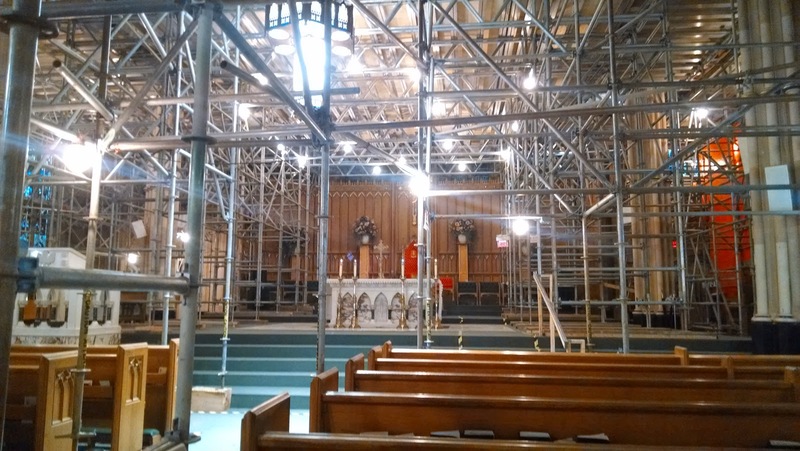 St. Michael, the patron saint of scaffolding! That is what I wrote on Facebook. 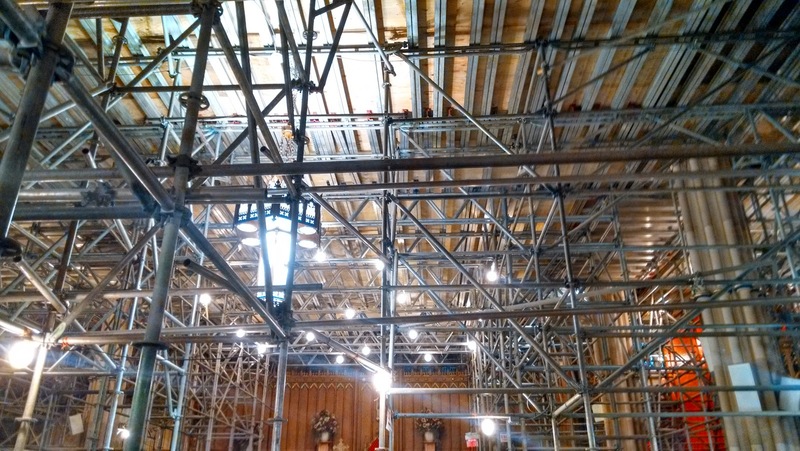 I could not believe the scaffolding in this church. It was everywhere! Above is a picture I took after mass. One of my friends at work told me it was a wonderful photograph but you did not need to be the Leonard Pennario of photography to take this picture, I have to admit that. You could pull the camera out and just direct it anywhere. There was so much scaffolding! 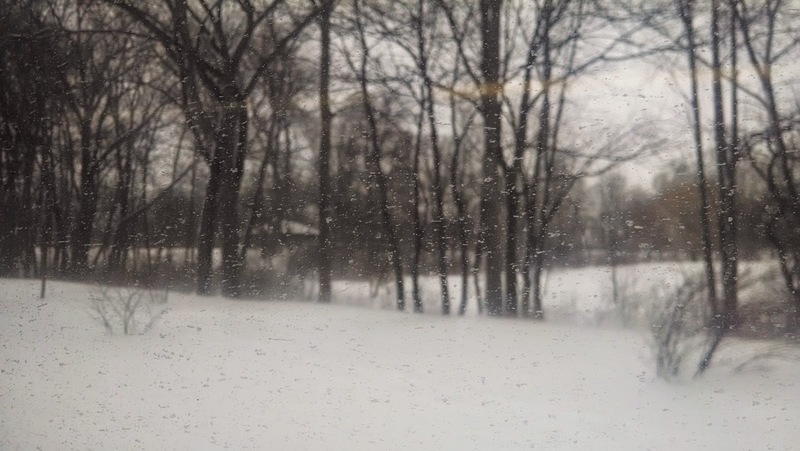 Here is another view from my pew. How did they get all that scaffolding up there? How are they going to get it all down? What made the whole situation funny was, just three or four days before that, I had had a conversation with my friend Melinda about how every time we have visited historic churches, our appreciation of them was hindered by scaffolding. She had that experience with Notre Dame in Paris and I had it with the Cologne Cathedral. And there were other examples. Heading to St. Michael's at 8 a.m. Sunday ..
... I saw scaffolding from a distance away. But I could not guess what was inside!